If you’re on the hunt for a new Acura near Kyle, you already know that you have a lot of decisions ahead. For starters, you’ll need to be able to answer the question, “Should I buy or lease?” You should know off the bat that your financial situation and your needs are the most important factors to consider. 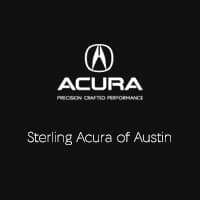 Still, you can move a great deal closer to your goal by comparing the benefits of both paths with Sterling Acura of Austin in Austin. Refinance On Better Terms: Drivers who purchase their vehicle may have the option to refinance their loan at some point, adjusting payments so that they’re more affordable month-to-month. Lease terms tend not to change once the contract has been signed. Lower Long-Term Costs: Drivers who lease their vehicle will make payments each month, but unlike those who purchase, the process will begin all over again as soon as their lease term is up! This never-ending process tends to generate higher long-term costs. Avoid Mileage Restrictions: If you choose to buy your vehicle, you’ll be able to go wherever you desire when you’re traveling around Georgetown. Most vehicles that are leased are subject to mileage restrictions, which serve to reduce wear and tear. Ownership Means Control: Customizing your vehicle is only really possible when you’re the ultimate owner. Those who lease won’t be able to add custom products or tailor their vehicles’ appearance. Sell When You’re Ready: When you own your own vehicle, you can sell it at any time you wish, although you still need to consider the value of your loan. Monthly Payments Are Lower: When you lease, you’ll only be responsible for paying the amount that the vehicle depreciates while it’s in your hands. This means that your monthly payments will almost always be lower on a month-to-month basis. Pay Less in Sales Tax: Drivers who purchase their vehicles will also end up paying more in sales tax, for the same reason listed above. When you lease, you’ll only pay taxes on the estimated depreciation. Simple Trade-In Process: If you trade in a vehicle that you own, first you’ll need to value it and find a new car of comparable worth. When you lease, you won’t need to worry about your vehicle’s value, and you can select any leasing option available. Our lease return center streamlines the whole process. Coverage Guaranteed: When you drive a leased vehicle, you’ll usually be required to make sure that it’s properly maintained. This has its upsides, as any trouble you run into will be covered, as long as it’s listed in the warranty. Getting Approved Is Easy: A lender who gives out a car loan is taking a big risk, but the one who leases knows that they’ll receive the car back at the end of the term. This means that even drivers with less-than-perfect credit can easily get approved for a fair lease deal in the Buda area. Acura Luxury Lease™: When you lease with Acura, you’ll enjoy exclusive benefits that can help you avoid excess mileage fees, save money on maintenance, and avoid extra costs if you decide to purchase the vehicle at the end of the lease term. Learn more about whether buying vs. leasing is right for you by getting in touch with the experts at the Sterling Acura of Austin finance center. We’ll walk you through every step in the process, and we’ll even help you value your trade-in, learn about used car leasing, or calculate your payment when you’re ready to take the next steps. Get started by exploring our Acura incentives and contacting our team today.